Firebox has announced the addition of a new Python training course that will be offered in a four-day format. The course-ware being used for the new Python training course was recently completely re-engineered from the ground up. The previous version of the course-ware lacked some of the practical application aspects included in the new course. The new Introduction to Python | Fundamentals and Essentials of Python four-day course, jump starts students into action. After completing the course students will immediately be able to use Python to complete tasks in the real world. Some of our best Python instructors also do consulting. Instructor-led online Python courses help these instructors bring recent real-world experience to the classroom, said Julie Johnson, Founder of Firebox Training. In this four-day Python Fundamentals training course, our students get a hands-on learning experience starting with the Python programming basics of writing and running Python scripts to even more advanced Python programming features such as file operations, regular expressions, and using the extensive functionality of Python modules, said Mr. Johnson. If you are an IT professional looking to modernize the tools in your skills set, becoming a Python programmer and developer is a definite must and Firebox can help you get there. Firebox Training is instructor-owned and instructor-operated. According to Firebox, Python and other programming instructors are well vetted - its part of why they seek out actively consulting instructors. Firebox seems to be finding success with this top-grading of instructor talent, which means only the most qualified deliver Python training. The new Introduction to Python four-day course is delivered most often as a live instructor-led public online course-the virtual classroom. Additionally, the courses are taught on-site at client locations throughout the US and world. Firebox also offers traditional classroom style IT training courses. The upstart and growing IT training firm recently passed another milestone with their Firebox YouTube channel subscribers exceeding 1000. 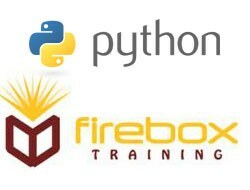 Firebox has also integrated many of the YouTube video training tutorials into their website blog including Python training videos like this one: http://www.fireboxtraining.com/blog/2013/04/17/python-training-how-to-install-pydev-plugin-in-eclipse/. Firebox also received some very positive feedback from recent post course student surveys, according to company sources. 'Possibly the best online training courses I have ever taken,' was a student comment we received recently, stated Shawn Johnson, Director of Operations at Firebox Training. We take our post Python training surveys seriously and make adjustments as needed. There is a wide variety of industries using Python programming from web development, gaming and graphics firms to financial, science and business software. Clearly Python is a widely used and popular coding language today. Education and governments are also implementing operational solutions using Python. Python programming skills are in high demand right now. In fact at the start of Q2 2013, there were more that 2000 Python programming jobs advertised on Dice.com, a leading IT employment source. There are a wide variety of employers and locations seeking to hire IT professionals with Python skills and the Introduction to Python programming course offered by Firebox Training empowers students to get past technical interviews and land a job. Python programming is also relatively easy to learn and very flexible as compared to some other code languages. All Firebox courses, whether onsite or online are instructor-led live classes, with an hour break for lunch. The class is very hands-on, 50% lecture and 50% lab with Q&A. All courses include course-ware, live instruction and a certificate of completion. Firebox Training is instructor-owned and instructor-operated, meaning the very structure of the training business is student-centric. Firebox instructors are also consultants that bring in real-world scenarios into the classroom environment. Firebox Training was founded in 2007 in Golden, Colorado. The owner of the company is not only the technical director, but she also delivers and creates many of our courses. Firebox has delivered training for well known organizations including, General Dynamics, Bank of America, Comcast, NREL, Vertafore, Fidelity Investments, Micron Technologies, Time Warner, and HP, just to name a few. Instructors have traveled to client locations across the globe. Most recently, completing training in Sydney, Singapore, London, New York, Austin, Seattle and Denver. You can learn more about practical Python here: http://wiki.Python.org/moin/OrganizationsUsingPython. Director/producer Dane Bernhardt, writer Cuyler Mortimore, visual artist Daniel Crosier, editor Jose Medina, director Stephen Santa Cruz, photographer/graphic artist Norman Dillon and Denver DigiFest director/producer Mike Hance - partner up to create Mother Mind Studios. Mother Mind is a new digital media company that specializes in creating artistic and compelling marketing solutions for local businesses in Colorado, while also developing, producing, marketing, & distributing feature films. 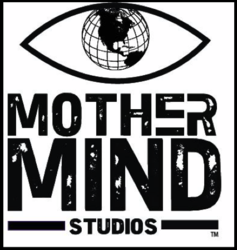 In addition Mother Mind Studios will develop and print materials such as the "Distortions Unlimited" comic book, and other projects featuring original content. Mother Mind Studio's original feature films are in various stages of development and production. Mother Mind Studios productions are able to operate on micro budgets opting for the DIY (Do It Yourself) method. Mother Mind Studios also offers its service for developing & producing commercial, new media, and online content for local businesses in addition to marketing. The studio is currently marketing Stephen Santa Cruz & Joel Stangles by submitting it to film festivals around the world, and setting up free screenings to the local communities. Colfax & 15th is also being made available on DVD. Original film projects are currently is various stages of productions. The mockumentary Isolation Man directed by Daniel Crosier & Dane Bernhardt, is currently in post-production, and will screen a rough-cut at Denver Comic Cons Filmapalooza, Saturday June 16th, at 8pm. Colfax & 15th will also be screened at Denver Comic Con at 6pm. Bernhardt is also wrapping up a documentary with Tom Murphy about the Denver music scene called Denver Undiscovered as well as a film with Cuyler Mortimore about the Denver comic book scene. Show Devils, a comic book about the sideshow performance duo the Enigma (X-Files, Ripleys Believe Or Not) & Serana Rose will be the first publishing endeavor debuting in June. The Show Devils book features the talents of writer Daniel Crosier, and illustrator Karl Krumpholz. "We've built up a talented team and we're excited to see where we can go and how far we can get. This is an age where the independent media experience can achieve ever-wider distribution thanks to the Internet. states Bernhardt, The studio structure we're developing is one built with the help of the Denver community. Our goal is to continue to provide and develop a sustainable home for collaborative filmmakers and artists. Mother Mind Studios has several more projects that will be announced in the near future. Visit Mother Mind Studios or call 7202366339 for press inquiries. Fusing visual statements with devotion to detailed craft, Meticulosity, a multimedia exhibition at Otis College of Art and Designs Ben Maltz Gallery, features the work of eleven Southern California-based artists and three poets who work in a variety of different formats: sculpture, painting, digital media, photography, video, textiles, and installation. Artists: Tanya Batura, Hilary Brace, Eileen Cowin, Linda Hudson, Gegam Kacherian, Otis Alumnus Sandeep Mukherjee (Fine Arts '96), Ross Rudel, Linda Stark, Arthur Taussig, Elizabeth Turk, Samira Yamin. Poets: Graduate Writing Faculty members Guy Bennett, Dennis Phillips, and Martha Ronk. The title Meticulosity references both the technical/formal approach of the artists and the spiritual focus of their creative efforts -- their tenacity and continuity. The premise for Meticulosity is that these artworks are created in a meditative mode, or through a trance-like process, and that the painstaking exactitude expressed by these works is intended for the viewer to perceive along with the work's conceptual values. We connect that visual meticulousness to a sense of the ineffable, or that which is beyond words, and to the meaning of beauty. Leah Ollman, Los Angeles Times art critic, calls Meticulosity a meeting of the mind and spirit. In her review, Ollman writes, The increasing academization of the art world and the shift, among many artists, to a practice that involves actions outside the studio rather than objects made within it, have reinforced that notion of divergence: beauty headed in one direction, brains another. Either/Or. "Meticulosity" makes a case for And. This project is sponsored in part by the Otis Board of Governors, and supported in part by the Pasadena Art Alliance. The Ben Maltz Gallery is located at the Otis College of Art and Design Elaine and Bram Goldsmith Campus on the 1st floor of the Bronya Galef Center for Fine Arts - 9045 Lincoln Blvd., Los Angeles, CA 90045. An Exhibition Catalogue, available June 2012, features an essay by co-curators Meg Linton and John David OBrien; full-color reproductions of the artwork in the exhibition; and a poem each by Guy Bennett, Dennis Phillips, and Martha Ronk. Founded in Los Angeles in 1918, Otis College of Art and Design prepares diverse students of art and design to enrich the world through their creativity, their skill, and their vision. The College offers an interdisciplinary education for 1200 full-time students, awarding BFA degrees in Advertising, Architecture/Landscape/Interiors, Digital Media, Fashion Design, Illustration, Graphic Design, Product Design, Painting, Photography, Sculpture/New Genres, and Toy Design; and MFA degrees in Fine Arts, Graphic Design, Public Practice, and Writing. Continuing Education offers certificate programs as well as personal and professional development courses. Additional information is available at http://www.otis.edu. MindMachines.com announces the immediate availability of the new Proteus light and sound machine by MindPlace. Several improvements to the design and accessories make this a worthy upgrade to the previous version. The Protues mind machine uses a BiColor LED system in its lightframes that creates a range of up to 4096 perceived colors. It also features TamasLabs Audiostrobe compatibility allowing users to experience intricate sessions of music synchronized to light and sound brainwave entrainment stimulation. The new Proteus now sports a USB cable for computer connectivity. In addition to operating system enhancements it can now be connected to the ThoughtStream Biofeedback System to use biofeedback readings to control programs. MindMachines product specialist Fred Williams says, The Proteus is a great value for the money and when connected to the ThoughtStream it becomes a powerful biofeedback driven device. The Proteus package includes the compact control console, deluxe stereo headphones, stereo audio cable, printed manual, carrying case, US AC power adapter and ships with Ruby/Emerald Ganzframes which have 4 red and 4 green LEDs generating an extremely bright and engaging display. For more information about the Proteus light and sound machine visit MindMachines.com. They’re not super powered, they’re just super smart. The teen protagonists who lead us through the world of Pariah, a twelve-book graphic novel series from the mind of Oscar-winning film producer Aron Warner and published by Sea Lion Books, are the next generation of heroes in the comic book world. Eisner-nominated illustrator Brett Weldele (The Surrogates) will bring the stories to life in ink, and Philip Gelatt will pen the scripts set in Warner’s world for the twelve books. As buzz builds about this unlikely collaboration and the unique story of Pariah, the series will premiere at San Diego Comic Con on July 20 – 24th. What happens when the society that created them also tries to destroy them? The Pariahs fight back this July. For updates and additional information join Pariah on Facebook or follow PariahComicBook on Twitter. Aron Warner is the Academy Award®-winning producer of the animated blockbuster “Shrek” series. Mr. Warner joined PDI/Dreamworks in 1997 working as the producer on the animated film, Antz. He is currently in partnership with director Andrew Adamson in Strange Weather where they and partner Jeff Fierson are developing a slate of live action and animated feature films and television shows. He, producing alongside James Cameron, just wrapped the Untitled Cirque Du Soleil 3-D project, which was written and directed by Adamson. Pariah is his first graphic novel series. Sea Lion Books is quickly becoming one of the leading publishers of fantasy, science-fiction, paranormal and young adult trade-paperbacks, hardcovers and graphic novels in the industry. In addition to Pariah, upcoming releases include the graphic novel adaptation to Paolo Coelho’s The Alchemist, Extraterrestrial by Pat Lee and Dark Swan by Richelle Mead. Learn more at http://www.sealionbooks.com. A Demo Version of MindMaster is available on http://www.MindMaster.TV. The company also offers a 14-day free trial. After the trial, users pay a one-time fee of $ 44.95, which gives them the program for life.